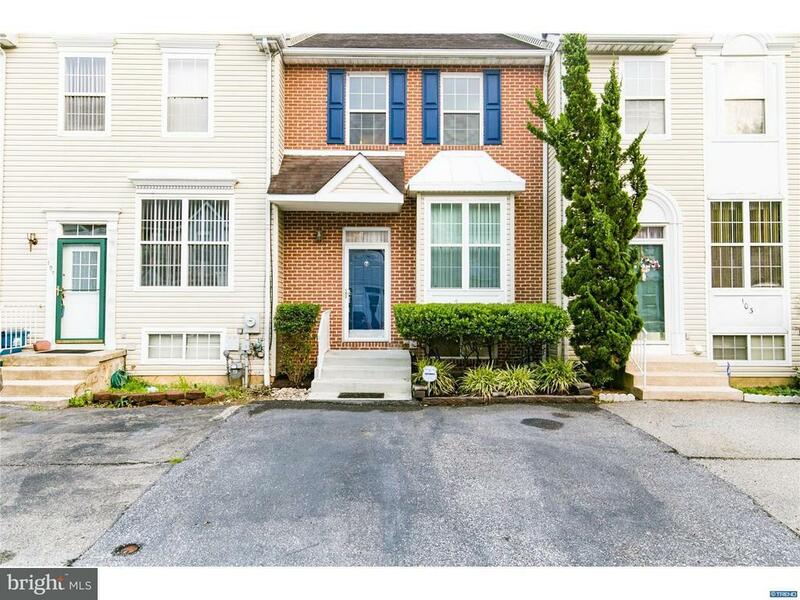 Welcome Home to this lovely property located in the community of Newtowne Village! Its a 2 bedroom with en suite in each and 2 half bath townhome. Conveniently located minutes away from Rt.7, Rt.40, Rt.1, Rt.273, & I-95. This beautiful home welcomes you into a tiled foyer and eat in kitchen featuring 42" cabinets, tiled backsplash, stainless steel appliances, and updated lighting. Just beyond that youll notice the open dining and living room space complete with a wood burning marble fireplace, hardwood floors, and crown molding. Slider door that leads to brand new Trek deck that overlooks the nicely landscaped fenced in yard. Upstairs has 2 bedrooms. The first Master boasts crown molding & large walk-in closet. Master bathroom includes granite counter, tiled walls, and fish bowl sink. Additional bedroom has double door closets & private bath. The finished lower level has family room, half bath, laundry and extra storage area. The cherry on top is the 1 year transferrable home warranty! Make sure you dont miss this one!